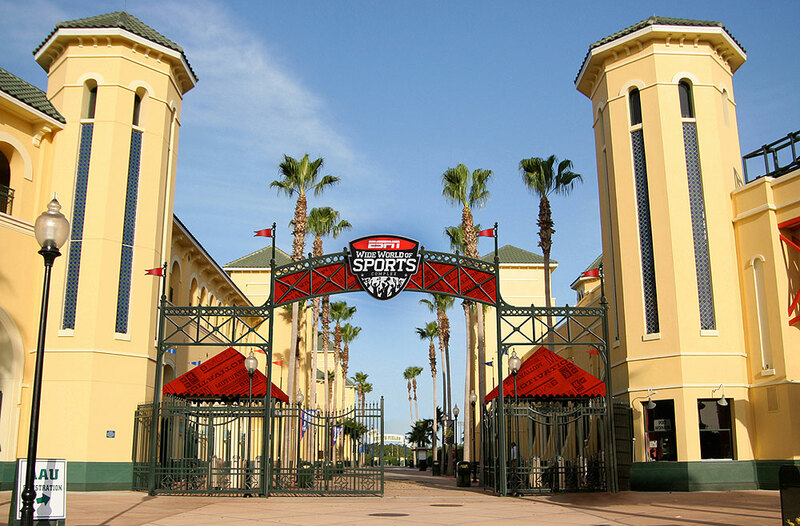 ESPN Wide World of Sports is a sports complex measuring 225 acres. The complex is an incredible venue that includes the Baseball Quadraplex, Champion Stadium, HESS Sports Field, the Jostens Center, the HP Field House, the Softball Diamonplex, the Tennis Complex,and the Track & Field Complex. The Baseball Quadraplex is a training and competition facility with four fields and one practice infield. Two of the baseball fields are equppied with lights for night play. The "Quad" is outfitted with 10,000 square feet of batting tunnels, pitching machines, and a pitching area with 10 bullpens. 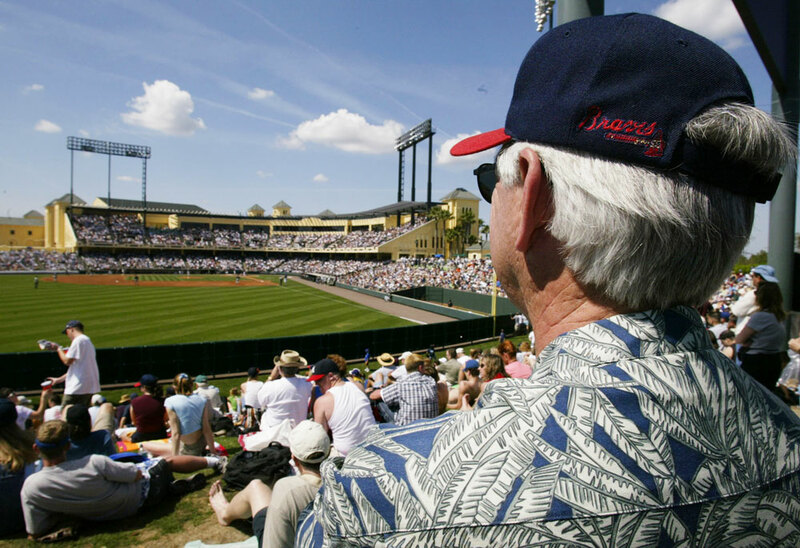 The fields are used for spring training by the Atlanta Braves, and during the rest of the year, the Baseball Quadraplex hosts an array of tournaments and training programs. Champion Stadium is a baseball stadium and field with over 9,500 seats, four luxury sky boxes, and multiple open-air suits and patios. The double-decker stadium has stadium seats, bleachers, and a grassy knoll for sports fans to lounge on. The Champion stadium pays hosts to Atlanta Braves games until they go north for the summer, at which point it serves as a venues for various competitions and leagues. 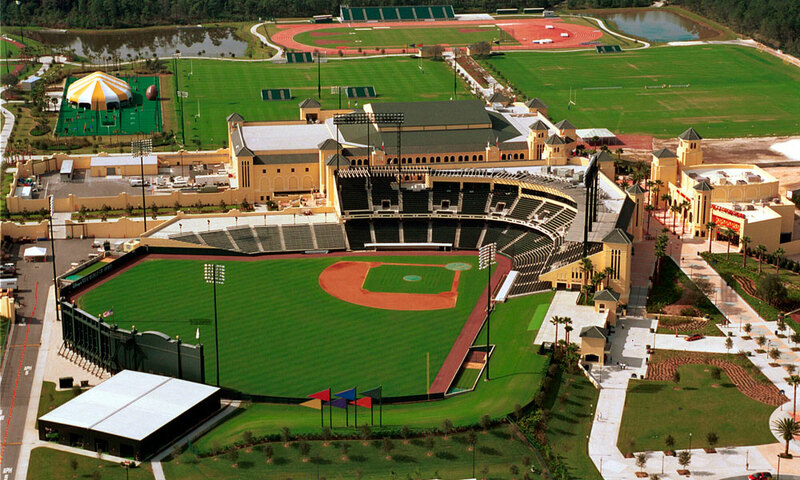 The stadium is named after Champion® , the Official Sports Apparel of ESPN Wide World of Sports Complex. HESS Sports Field provide a majestic setting for outdoor field sports including football, soccer, lacrosse, baseball, and softball. The fields have seven grass playing surfaces and four convertible fields which can be used for baseball, softball, or other traditional sports. 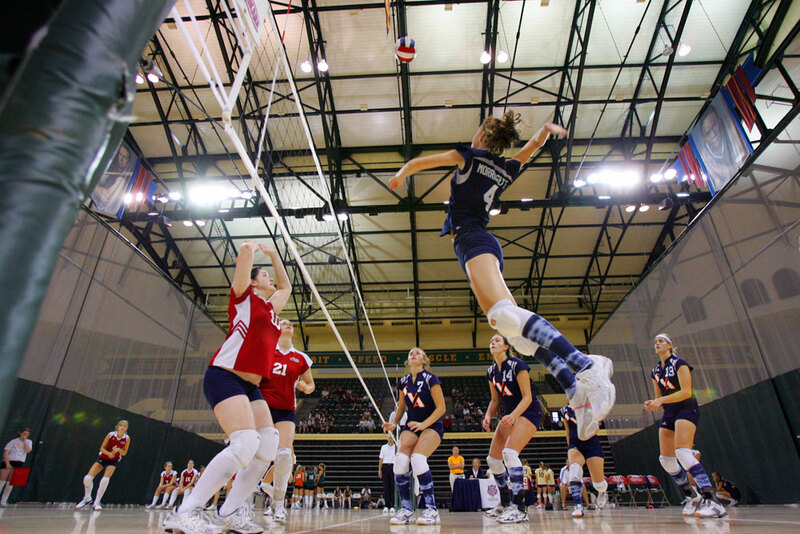 Multiple events can take place on the fields simultaneously, or all may be used for a tournament experience. HESS Sports Field is named after HESS, the Official Fuel of the Walt Disney World Resort. The Jostens Center is a multi-sport facility with more than 44,800 square feet of competition space. It has the capacity to house basketball courts, volleyball courts, inline hockey rinks, locker rooms, officials' rooms and more. The Josten Center has an adjacent restaurant and is in close proximity to other indoor and outdoor venues, making it a hub for sports activity year-round. Jostens is the Official Memory Book Provider of ESPN Wide World of Sports Complex. The HP Field House is an indoor facility boasting more than 70,000 square feet of space. It's equipped with unprecedented flexibility, modern playing surfaces, and custom athlete training areas. Of the 5,000 seats, the highest row is only 35 feet off the ground, providing up-close viewing of all the action. The HP Field House houses the HP Photo Creation Center, where guests can create customizable photo products, including posters, calendars, and more, to celebrate amazing accomplishments. The Softball Diamonplex has four fields in a giant circular pattern with two additional fields adjacent. Outfield fences measure 305 feet, and temporary fences are available for games when shorter distances are required. Each field can be configured to accommodate fastpitch softball, slowpitch softball, or youth baseball games, and all the fields feature bullpens and spacious dugouts. A centrally located tower overlooking the venue offers conveniences including press facilities, concession stands, and an area for scorekeepers and officials. The Tennis Complex has 10 clay courts including a 1,000-seat Centre Court Stadium. Pros and amateurs alike have enjoyed moments in the spotlight of competition at this tennis court. The Track & Field Complex a premier competition and training facility for state, national, and international events. The venue is designed to the exact specifications of the International Amateur Athletic Federation (IAAF), the world governing body for track and field, and includes the following: nine 48-inch lanes, double straightaways, 3 shot-put rings, 2 discus/hammer rings, a javelin runway, 2 high-jump pits, 2 interior horizontal jump runways, and 2 pole-vault landing zones. ESPN Wide World of Sports also has an on-site restaurant serving meals during sports events. 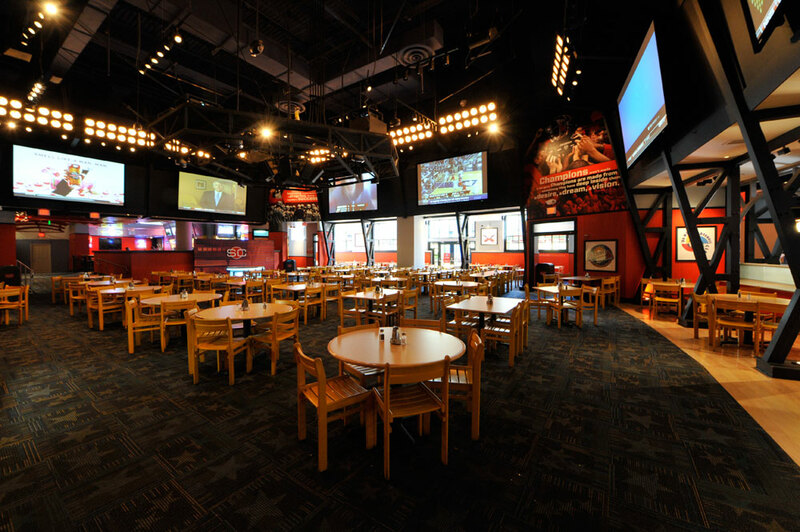 The ESPN Wide World of Sports Grill has seven high-definition displays running live updates and daily highlights from the field of play, an outdoor patio seating area with two high-definition displays, and a replica of the ESPN Sports Center desk for photo ops. The menu serves American stadium classics like burgers, chicken nuggets, and more. At the back of the EPSN Wide World of Sports Grill is the PlayStation Pavilion, an entertainment and gaming space. 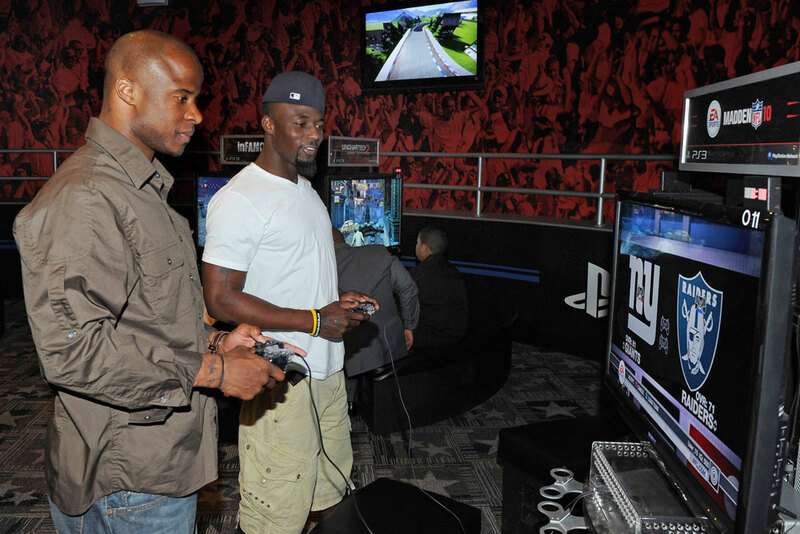 The arcade has 17 PS3 systems and new exclusive game titles. The PlayStation Pavilion has sixteen 40 inch HD TVs, and showcases an evolving line-up of the latest PlayStation games including favorites from Sony's publishing partners and their own studios. The Pavilion also has its own stage where you can grab the mic and jam to your favorite tunes. The cost to play is $5 per 30 minutes. Besides the Gameday Photos Experience at HP Field House, other shopping options at ESPN Wide World of Sports include the ESPN Clubhouse Shop and the Custom Tee Center by Champion. The ESPN Clubhouse Shop has the largest assortment of exclusive ESPN Wide World of Sports apparel and gifts.Guests will also find merchandise from professional sports teams. There are two locations, one adjacent to the Box Office and another inside Champion Stadium. Custom Tee Center by Champion is a place to create customized sports event tee-shirts. After purchasing an event tee-shirt at one of the retail locations located throughout the complex, guests can take their tee to the Custom Tee Center by Champion and choose from more than 50 designs that can be added to commemorate an accomplishment, like 1st Place, Champions, Team Captain, and many more. The Custom Tee Center by Champion is just inside the entrance to the ESPN Wide World of Sports Grill. Parking is free at the complex. ESPN Wide World of Sports Complex is located off Exit 65 from I-4.